Look at this item. 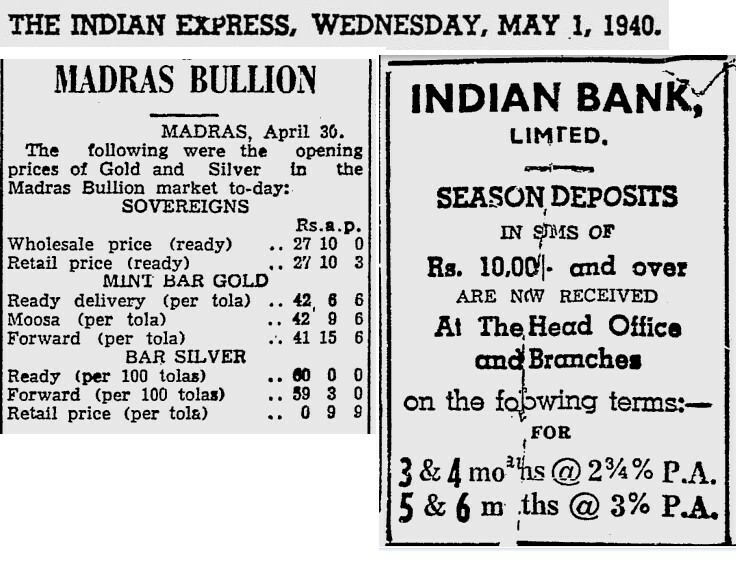 Gold price was 63p per tola. Again this is old tola which is about 12 gms. 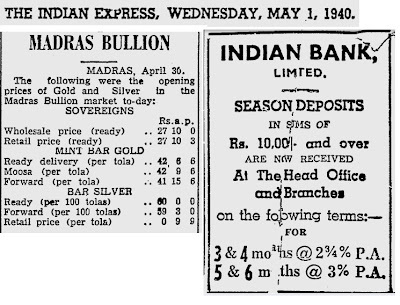 Meaning in 1940 gold price was 50 paise per tola ( 10 gms).